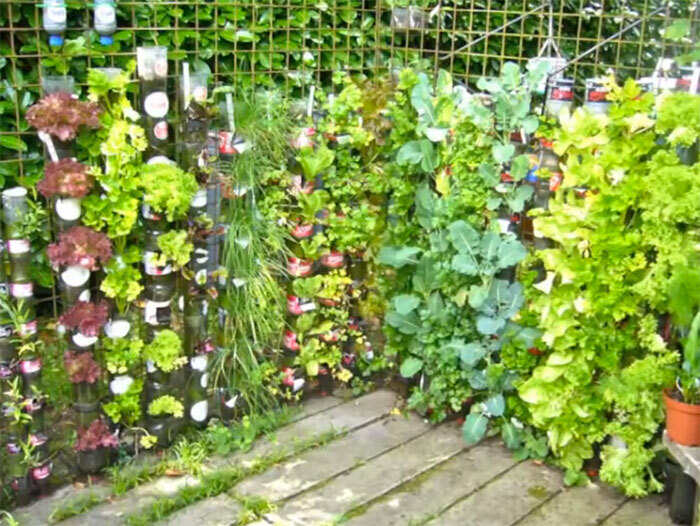 Dr. Willem Van Cotthem experimented with this vertical gardening system using recycled plastic bottles stacked and attached to a fence. He began with the 2011 growing season and continued through 2012 with great success. This type of garden is cheap to start and is extremely effective for those who do not have a lot of growing space. A system like this could be built along a fence, wall, or on a balcony.